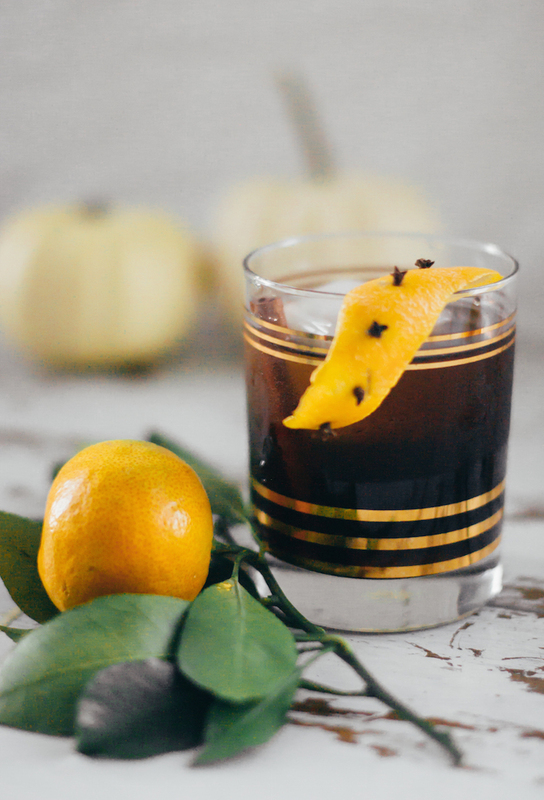 Pumpkin and spice and everything nice, that’s what this cocktail is made of! 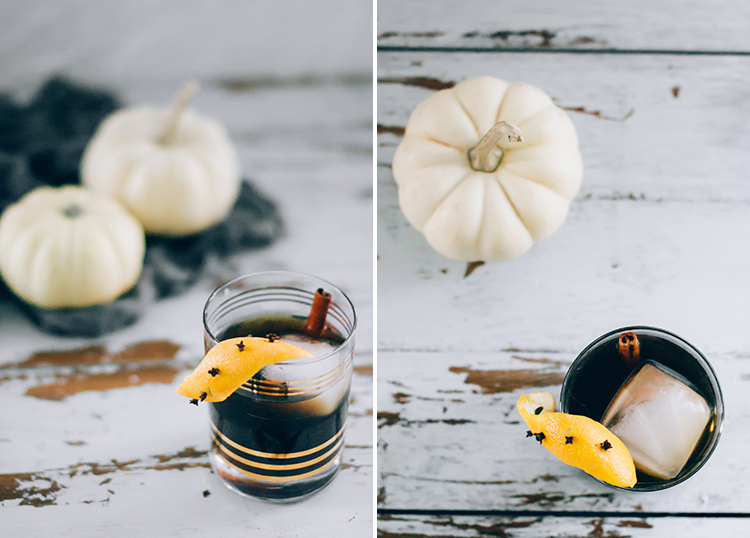 This pumpkin laced libation is perfect for the cool weather- Old Fashioneds are best enjoyed in a cozy sweater by the fire after all! 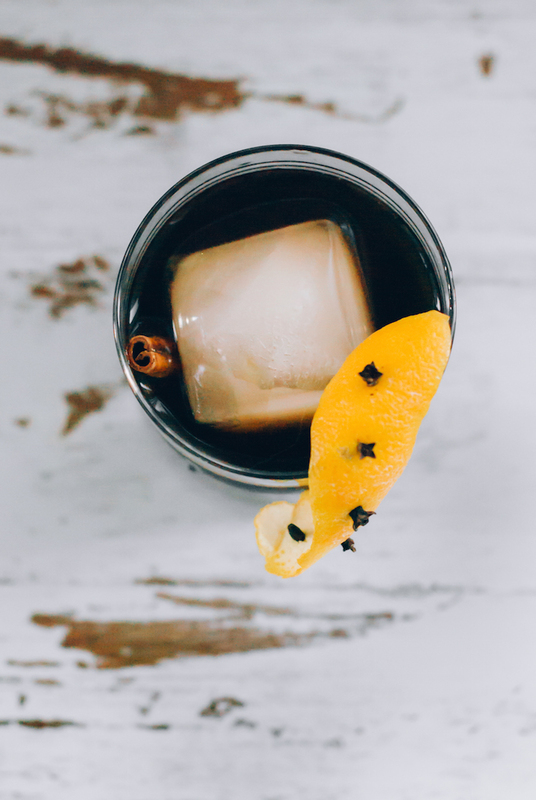 The Old Fashioned isn’t named because it’s enjoyed by conservative grandpas everywhere (although it probably is), it comes from the fact that is the first cocktail made (well at least here in America!) 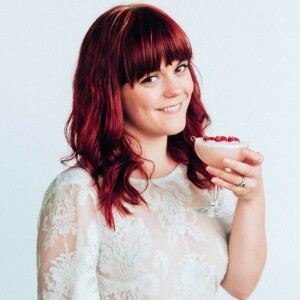 Yup, we have this classic drink to thank for all the delicious concoctions we enjoy bellied up to the bar, purveyed by mustached men in suspenders! Simply put, a cocktail is a drink made with a spirit and at least two other ingredients (sorry vodka soda, you ain’t a cocktail!). 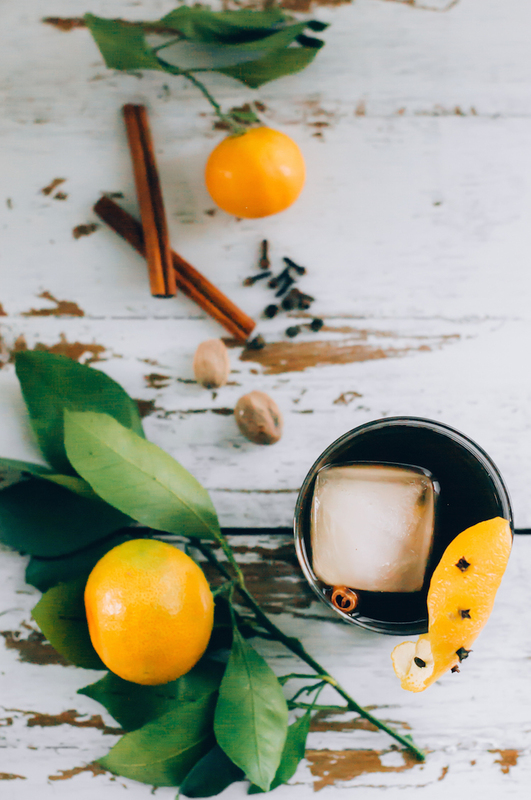 In the case of the Old Fashioned, it was originally made with sugar and bitters blended together and then topped with rum, gin or brandy. It’s only later the whiskey replaced these original spirits,thank goodness, bourbon Old Fashioneds are my favorite! Aaand then sometimes I go and bastardized my favorite drink with pumpkin spiced syrup (can I say that word? Well, it’s my site, sorry conservative grandpas!). I think simple syrup makes the best Old Fashioned. 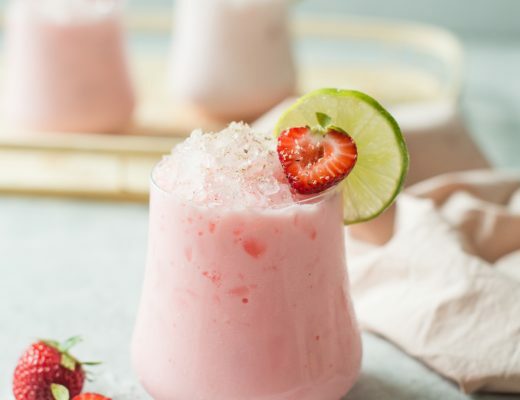 You don’t get any gritty, sweet sludge at the bottom of your glass like you would with a sugar cube so you are sure to get the perfect balance of sweetness with ever lovely, boozy sip. This the season for all-things-pumpkin and I had an extra can in my pantry that I decided to make into a syrup. 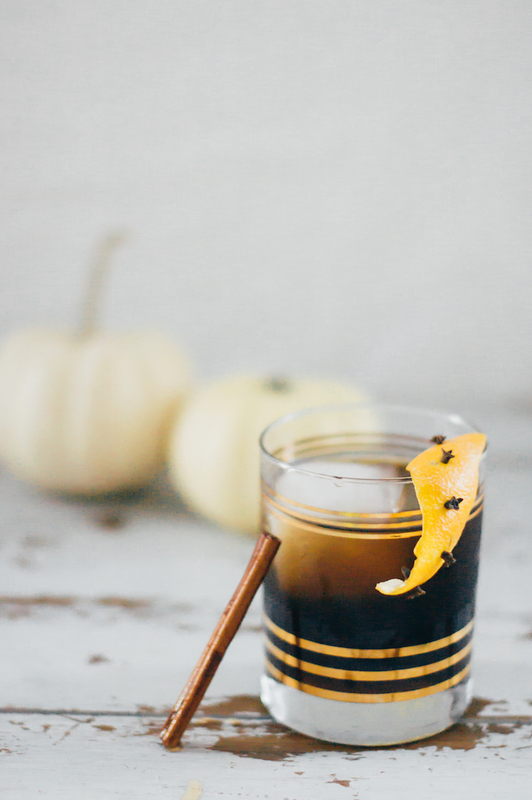 Blended with brown sugar for some rich molasses flavor and warming spices (I chose allspice, clove, nutmeg and cinnamon), it makes for a delicious addition to many fall drinks. 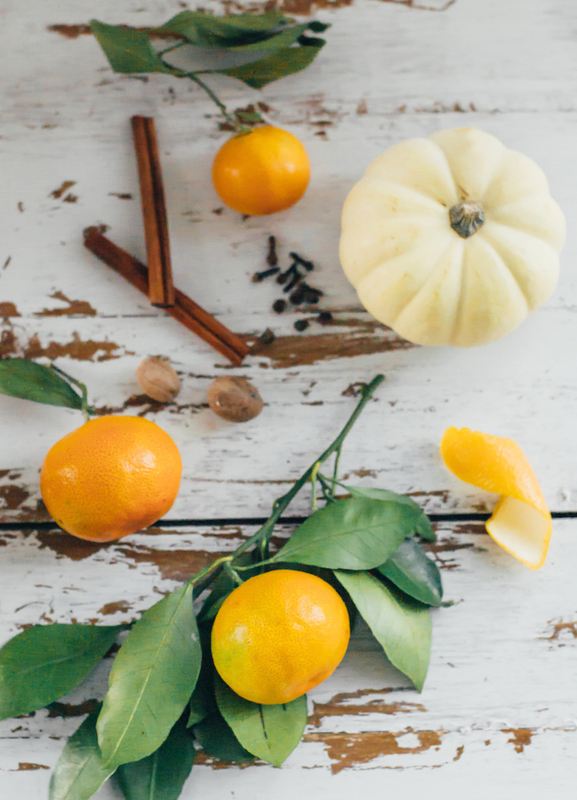 The pumpkin adds a little earthiness that comes through all the intense spices. I used a bourbon with a high rye content to impart some more spiciness to the drink. I added two teaspoons of syrup vs the usual teaspoon I use in my Old Fashioned to pack in a decent amount of pumpkin spice flavor. The richness from the rye in the bourbon helps to balance the sweetness a bit better as bourbons can tend to be on the sweeter side. 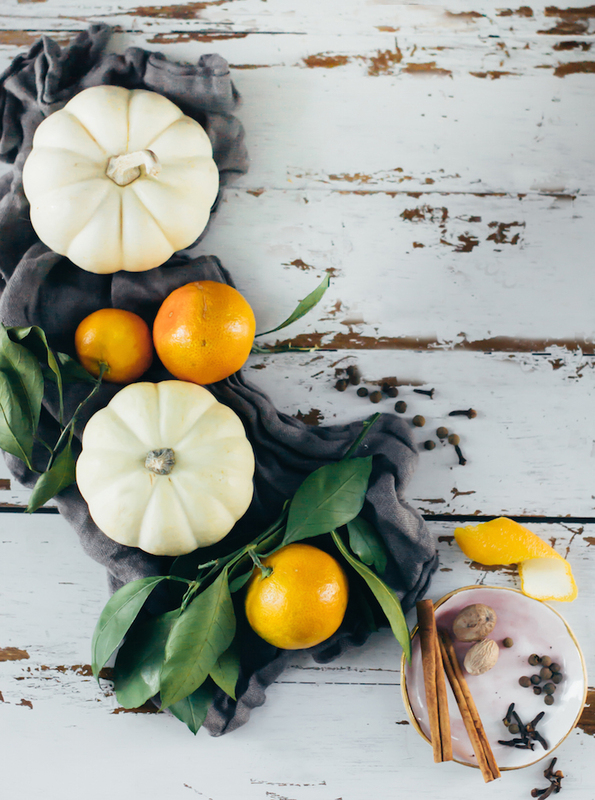 Despite being “pumpkin spiced” this is not your saccharine PSL. It is a very spiritous drink, sipped slowly on the rocks, preferably with a big cube. If you usually enjoy your drinks on the sweet side, add in another 1/4 oz of syrup. Not quite the same (and die-hard purists might shame me), but at least it gets you drinking an Old Fashioned! 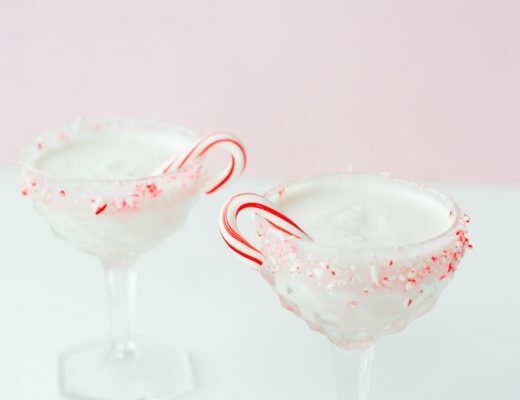 Over time you can decrease the amount of sugar to get the perfectly balanced cocktail. As for the last vital component, bitters can transform the cocktail. Just a few dashes can make or break your drink! No pressure. Bitters can be made from just about anything. They are often made from herbs and botanicals along with other spices and fruits steeped in alcohol to draw their flavors out. 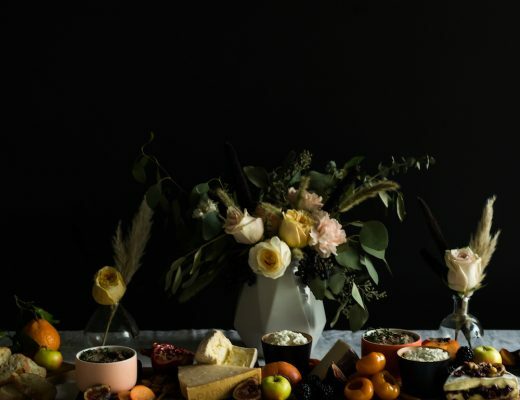 Once used for medicinal remedies, bitters our now essential as cocktail additives. For this particular drink, I used bitters from a local company here in SF. Workhorse Rye makes these amazing Salted Cacao Bitters. I have never had bitters quit like these! There is a beautiful bitterness from the cacao (via Dandelion, a local chocolatier) followed by intense saltiness that is so unexpected from bitters! Paired with the pumpkin, spices, and complexity of the high-rye bourbon, it really hits the drink out of the park! 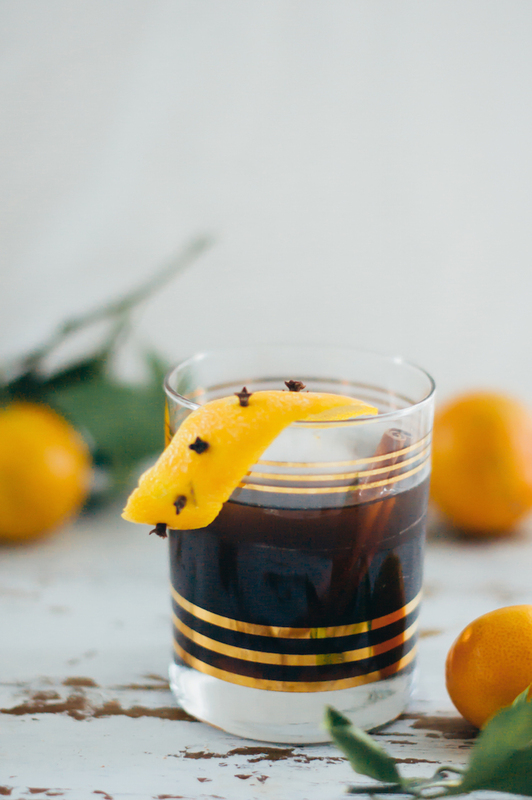 I highly suggest grabbing the salted cacao bitters, but if you want to make this drink right now, most spiced bitters will do, preferably Fee Brothers Old Fashioned or Orange bitters, Chocolate bitters and of course your basic Angostura ). Make syrup. 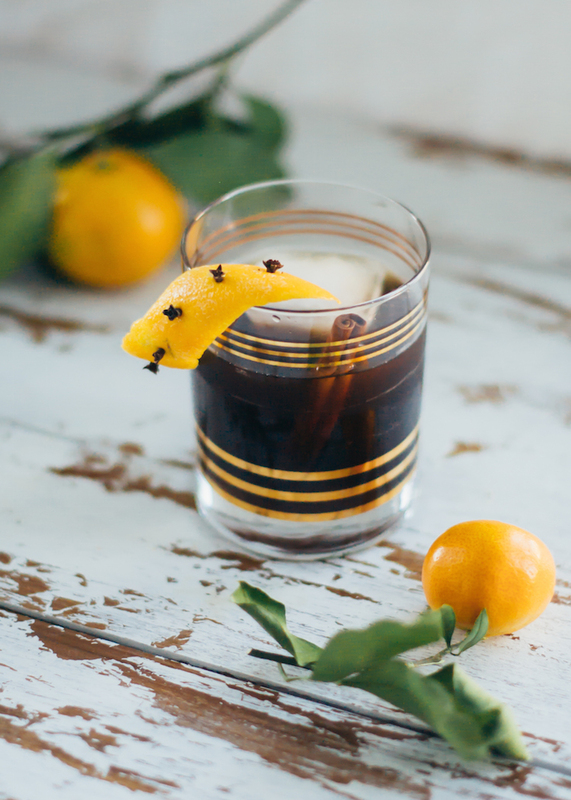 Add bitters and syrup in the bottom of a glass and top with bourbon and give it a stir. 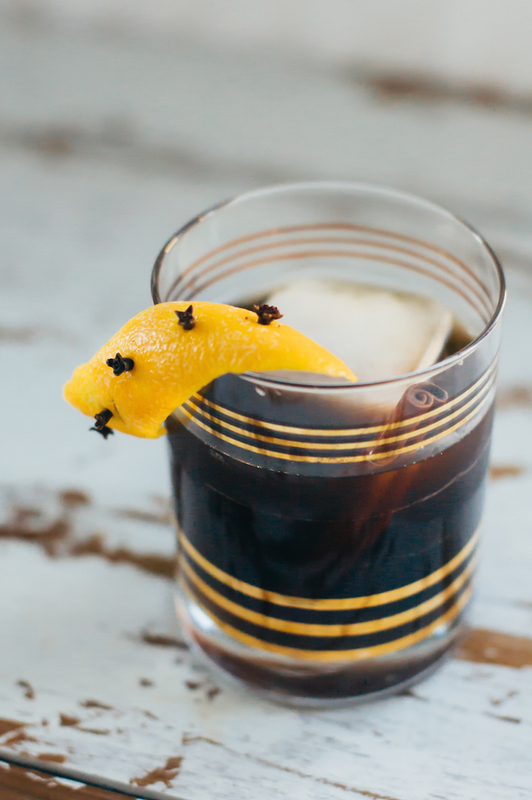 Run the orange peel around the rim of the glass and twist it over the drink to release oils. Stuff the orange peel with whole cloves. Add in large ice cub and cinnamon stick. Enjoy! Add all ingredients into a pot and turn to high. Bring to a boil. Turn to low and let summer 5-10 mins. Allow to cool in the fridge. Double strain or strain through a coffee filter to remove all solids. Store any unused portions in air tight container for up to a month.